Callye and her magical cookie mist spray have created something amazing! This time it is an ombre cookie inspired by Pinterest. What isn't to love about monochromatic striped cookies. They remind me of buying a new package of Bazzill monochromatic paper. All those pretty monochromatic colors lined up perfectly in a package. My previous scrapbooking addiction was really more a buying pretty paper addiction. 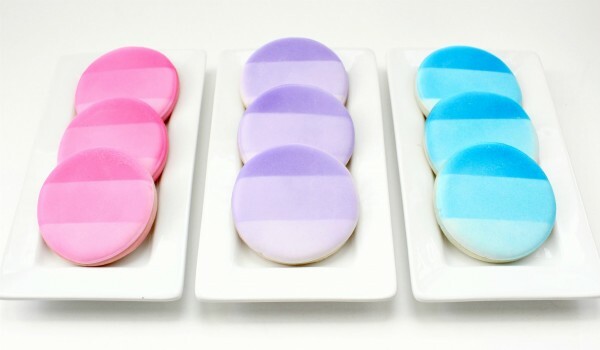 You can check out how to make ombre cookies over on The Sweet Adventures of Sugarbelle. And if you want to see more ombre projects, check out the DIY ombre shower curtain and the tutorial on how to make an ombre lamp shade. And expect a lot more ombre to come.